Ocean View Queen Rooms for that extra relaxing time away, just for you, or with that special someone, offering great views. 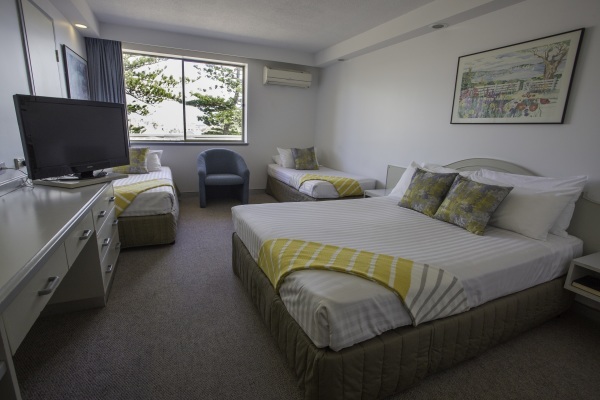 With comfortable accommodation, you can have a cosy stay in Newcastle Beach Hotel and live like a local after taking in the beauty of beaches, city and iconic landmarks and attractions. You’ll have a safe and comfortable place to relax when you stay with us. Harbour and City Views - Queen Rooms are located on level two, is suited for the business traveller who needs a comfortable space to work and space to relax. The room provides views over the Harbour and city. Whether you’re going out for fine dining, walking the harbour side, taking a swim in the ocean, or immersing yourself in the various attractions of the city. Our comfortable rooms can be your home away from home as they provide a great solution for long or short-term accommodation for your visit to Newcastle. Large Family Rooms If you are looking for somewhere to stay in Newcastle with the kids, our hotel has fabulous family accommodation and everything you need for a memorable family holiday. When visiting us you will find our accommodation is just moments from the beaches and Newcastle’s City Centre. Giving you space, together as a family, without breaking the budget and are suited for 2x Adults and 2x Children. We can organise bedding options, if you need us too! Twin Rooms offer accommodation for up to three people. 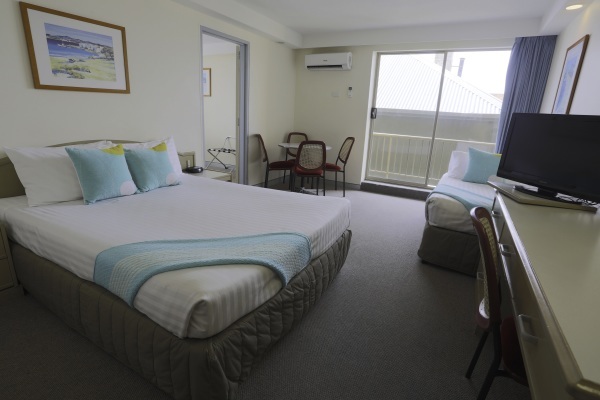 At the Newcastle beach Hotel our rooms have 1 x Queen Bed and 1 x single bed and are comfortable and spotlessly clean. If you are looking for an affordable, private, and peaceful place to stay – Newcastle Beach Hotel is your destination. It features all the amenities you need with the added convenience of being able to stay right in the heart of Newcastle. Standard Queen Room If you’re seeking accommodation for a couple or group, our Queen rooms are an excellent choice. 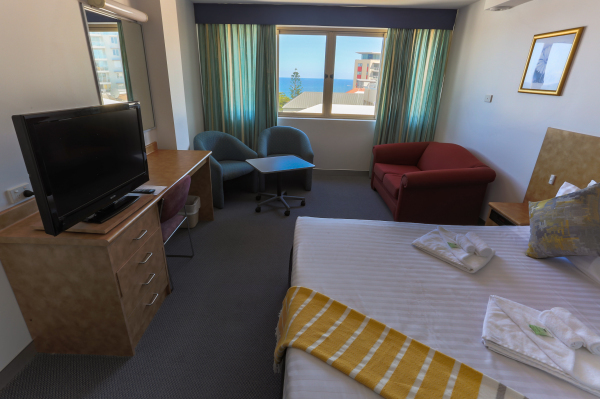 If you’re planning a short visit or a long stay at Newcastle Beach Hotel, book our rooms and be assured you will be comfortable and central to the cities attractions and offerings. Enjoy the convenience of our rooms with the beauty of Newcastle’s’ best beaches just a stone’s throw away.